In feudal times the territory belonged to the family of Vicenza Maltraversi, from whom descended the accounts of Arzignano. A primitive castle was built on the highest hill to the north, where now stands the church of S. Matthew. It was then erected on the current site. Scaligers, in that 1312 became masters of the place, erected fortifications that we see, consist of a ring of walls of 650 meters, with 2 door, 10 turrets and fortress. - La Rocca (1And 3rd Sunday of each month from 15,30 to 16,30 – also possible for groups on other days by prior arrangement). – Cinta Muraria (externally visible). – Parish Church S. Maria Elisabetta s (open before and after the religious ceremonies). – Former Convent of S. Maria delle Grazie (Sundays in November from 15,00 to 18,00 only the church of Santa Maria). – Church of S. Matthew (ask for visits to the parish - Phone: 0444 452116). - The Middle Ages Arzignano Veneziana – biennial – first days of September. – All Saints' Fair – first days of November. The fortified complex urban route is scenically placed on a rocky spur of the foothills of Lessinia and consists of two cores: the Rocca and the tape muraria, of irregular shape. 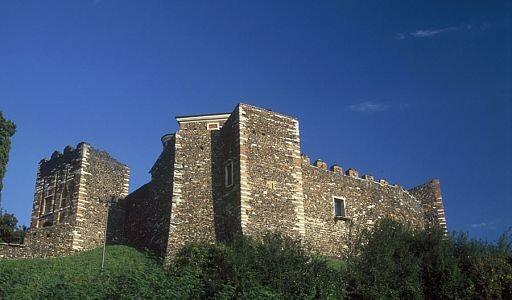 The tour begins from the north, along the outer perimeter of the walls, from the breach opened to the 900 to the left, until you reach the Eastern Gate, that looks out on Via Poggio and follows the approach scaligera, rivellino room with a drawbridge and, now replaced by a stone bridge that still indicates the moat which surrounded the walls. Continuing will take you outside the perimeter of the door Calpeda or Cisalpine, on the western side, outside with the Lion of St. Mark affixed by the mayor Luigi Priuli in 1565. Entered the enclosure, tenendo the right hand, you climb the short cobbled street that leads to the fortress, closed by another door. 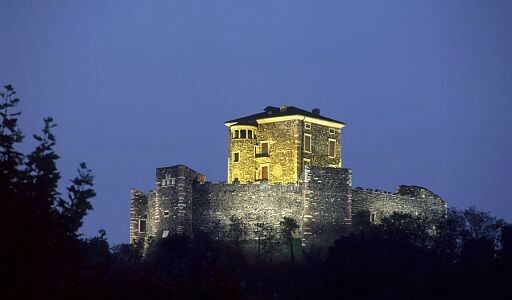 The fortress at La Scala, basalt stone of iron, has pentagonal and is surrounded by high walls. E’ place of residence of the parish priest, whom should I contact to visit, which enables us to understand the recent restorations. Back on the forecourt of Victoria, it is advisable to enter the nineteenth-century Parish Church, prospiciente the bell tower. From the car park is worth a visit, down the street Cisalpine, the former Franciscan Convent of S. Maria delle Grazie, private house, but returned in part because open to public use, after the restoration that took place in the context of the Jubilee of 2000. Communities: Tezze, San Bortolo, Cost ,Pugnello, Restena, Castle, San Zeno.